Home » Video Marketing » How Minecraft Ruled YouTube Platform? 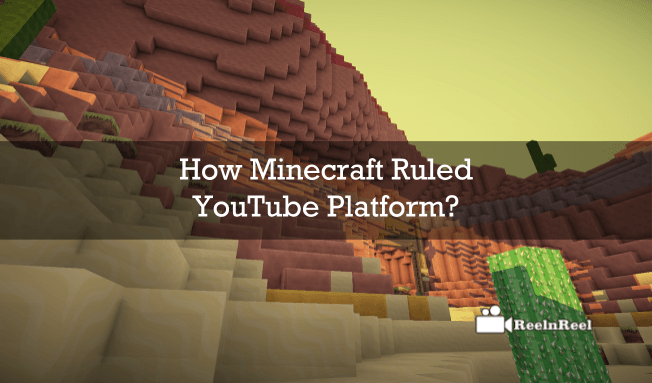 How Minecraft Ruled YouTube Platform? Minecraft is a sandbox game which is very popular across the YouTube platform for its videos. Mojang developed Minecraft and created by Markus Notch Persson, who is a Swedish game designer. Minecraft allows the gamers to build different constructions within the game using textured cubes which are 3D generated. The game also included in the crafting, resource fetching, combating etc. This game has gained huge popularity as it was available in the multiple gaming modes like survival mode, adventure mode, creative mode, etc. The community which dedicated to the gameplay goes to the creation of new mechanics and assets in the game. Why are other games not as popular as Minecraft? Minecraft is a 3D sandbox game which didn’t have any specific goals for the player. It allows the players to choose the way of playing the game in the third party mode. The gameplay completely revolves around the placing of the blocks and breaking of the blocks. The gaming was completely different which starts exploring the biomes once entered the game. The player can choose anyplace from the bin and start exploring the things one by one. Another interesting thing about Minecraft gameplay is, it is a multiplayer game which can host the players as well as the business servers. By using the multiplayer modes, the players can interact with the single world and can run on their servers with ease using the LAN connection. The multiplayer servers had their own unique rules and regulations and it is unique. The game also supports the cross-platform playing between the windows, iOS and Android platforms which were started in the year 2016. Minecraft had grabbed some millions of positive vibes and die-hard fans across the web. When comes to YouTube platform, it had grabbed several million hearts towards it. The YouTube views raised enormously, and Minecraft stood at the top place in most viewed, most subscribed and most followed gaming content on the YouTube platform. Mine craft was recently purchased by the Microsoft for$2.5 billion. The most interesting thing behind gaining huge views and following on YouTube platform is the views didn’t get from the content that was created by the parent company Mojang, but the following came from the YouTube fans. The following from the fans and the 32 billion views from the fan-created accounts referred to as the earned media as the parent company videos didn’t occupy much space in the total views than the fan-created one. There are various kinds of videos on Minecraft across the YouTube platform and are created as let’s play videos, walk through videos etc. When comes to the owned media of Minecraft on YouTube platform, the channel was gained 184 million views as their media apart from the earned media views credited from the YouTube fans. Many of you may think that Minecraft has spent some millions of dollars for its marketing and publicity across the web and even on YouTube to gain such a huge subscriber rate and view count. But, NO to all. Your expectation and estimation are completely wrong. Because Minecraft didn’t spend huge dollars, like other gaming companies. Minecraft parent company Mojang has only 40 employees and the marketing budget was zero. The main secret is an open secret that the game is everything that changed the fate of Mojang. Minecraft game is unique as the game didn’t have any rules to play. Plays can create their own rules and enjoy the game with complete freedom. This is a unique approach to the gaming. When coming to other games, they encourage the viewers, players, to share, collaborate. But the Minecraft team has shared these ideas with the community which made them trending across the channels. Minecraft had become very famous because of its die-hard fans for the game. The majority of the gaming videos on Minecraft from the fan channels has become super hit and were bagged millions of viewers across the platform. The Hunger game song video has also become the most popular one which was viewed some millions of times on YouTube platform. Generally, the game makers set a lot of rules and regulations and decide what creators must follow while going with the particular gaming things in their videos. If any of the creators had cracked the guidelines, they are used to receive the strikes from the companies. But, when comes to Minecraft developers, Mojang didn’t set any rules on the creation of the content on Minecraft and gave great freedom to the creators on YouTube. This made the creators to enjoy the freedom of creation and increased the interest on Minecraft. Likewise, fans were increased to the Minecraft with its honest and friendly approach with the community and creators. Minecraft understood the YouTube community and didn’t control the fans and creators across the platform. YouTube has played a key role in placing the Minecraft at the top place in the gaming world. Without YouTube platform and YouTube community, the Minecraft cannot be able to achieve the great success. Minecraft went viral across the YouTube platform, and the viewing and reach was not all slowing down on YouTube and was still on the rise and was growing. More than one lakh creator channels are created with Minecraft videos and we’re going to be double and more in future. Finally, Minecraft is the best example for the perfect marketing with a completely honest approach with the audience. They understood the audience and the YouTube community and what they are expecting and looking on YouTube platform revealed by the love that audience were howling towards the Minecraft. Minecraft was still building their unique fans day by day and we’re going with good efforts.